This is our 3rd time at the Jungle Dome, we just can't get enough of this beautiful haven in the jungle. Everything is incredible....From the staff of Karen, David, Tella, Wani, Nora to the pets Max, Daphne and Phoebe are all wonderful, inviting, knowledgeable and make your stay perfect. We traveled with a large group of 12 and everything went flawless, the meals were absolutely delicious, the room are gorgeous and so comfortable and the surrounding land is beyond beauty. The Howler Monkey's at night while you sleep are are incredible sound to hear! We also had a wedding at the Jungle Dome and everyone was so accomodating to allow us to have it hear....It was the perfect place to have such a ceremony. The excursions, lead by guide Luiz are incredible and all inclusive so you do not need to worry about anythign except waking up and going! ATM is absolutely incredible for those you like caving, EL Pilar was a magificent splendor to see, Horseback riding and the riverboat tour are relaxing and breathtaking, Barton Creek Cave canoeing was the highlight of my trip....I have never witnessed anything like this and I can't wait to go back...Which will be next year of course! Oh my goodness, where do I begin?! We loved our stay at the Jungle Dome so much I am not sure I can put it into words. From the moment that we got to the airport, we were treated so kindly. David was waiting for us when we arrived at the airport. He took us for a nice lunch and filled us with a wealth of knowledge on our ride to the hotel. As soon as we got there, Karen arranged a horse back riding adventure and David offered to lead our night jungle walk. We enjoyed both of these very much. We did the Black Hole drop the next day which was breathtaking. Although I had never rapelled before, I felt very safe with the guides. Everything went so smoothly. 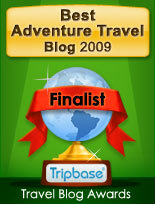 The following day, we did the zip lining and cave tubing. Both of these adventures were great. My only regret is that we did not have more time at the Jungle Dome for more adventures. We usually spend most of our vacations diving at different locations because we love to dive. 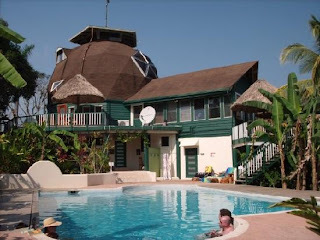 We did love the first half of our vacation diving around Ambergris and the Blue Hole, but I can honestly say that I enjoyed the second half more staying at the Jungle Dome. The meals were very good, especially breakfast with the fresh fruit and eggs! We love the different juices and were all eager to see what type of fresh juice we would have with each meal. The family style dining was so nice, because it gave us any opportunity to meet and interact with the other guests. That really added to the experience. The parrots and toucans in the surrounding trees was an added bonus. We just wanted to take a moment to tell you how much we enjoyed ourselves and to praise the staff. Karen was very friendly and efficient. She kept everyone on schedule for all of our activities and made sure things ran smoothly. We enjoyed getting to know her. The cleaning staff did a wonderful job, because our rooms were immaculate. The grounds were so beautifully maintained and the pool was spotless. David is just an inspiration to us. I cannot believe he has just learned English in the past few years. We were so impressed with his kindness and eagerness to share his knowledge of his country. He was waiting by the gate for the guests when we returned from our trips offering cold drinks. You could not have a better employee! We believe he truly is a wonderful person. Thanks you so much for arranging this wonderful (best ever!!) vacation for us. We will recommend this spot to all our friends and family and hope to return ourselves. Our children are 6 and 8 and are wondering when they can come. I think that sounds like a good reason to come back.